To generate work is no challenge. Finding which work matters, and the right order of execution, is the real challenge. That is: deciding. It makes a lot of sense to think of a decision like a weight measuring of arguments and pick the side that is heavier or lighter. This is easy. which side arguments fall on, why and how hard? 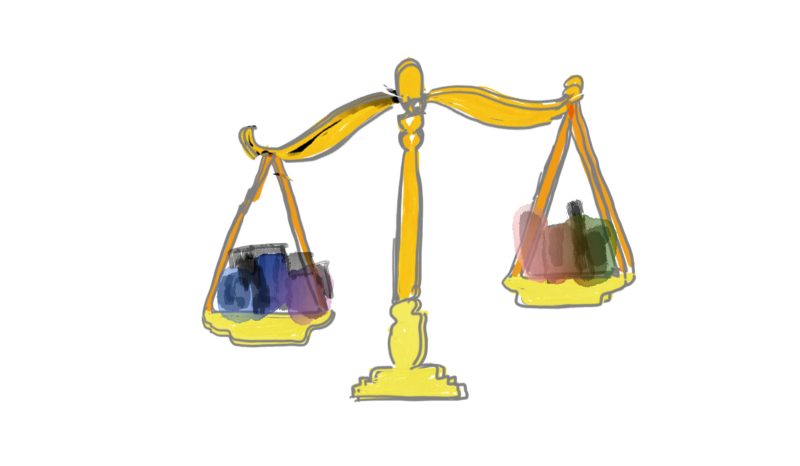 The usual sides of the decision scales are right and wrong, correct and incorrect and good or bad. Good or bad are moral scales, while right and wrong are the long term version of correct and incorrect. 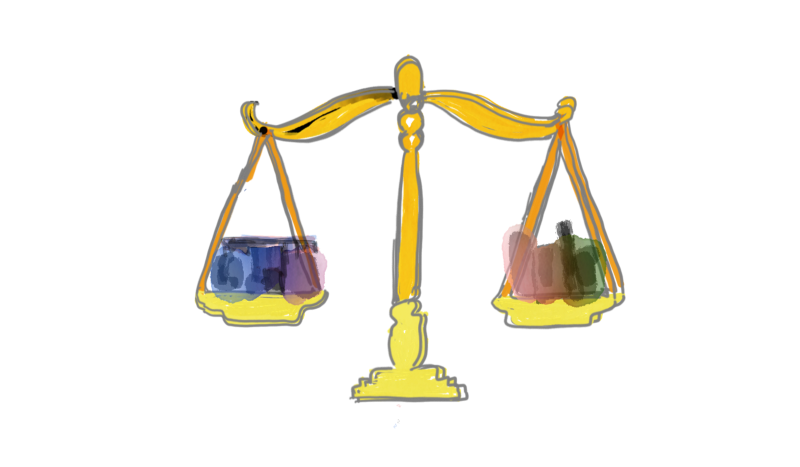 Generally if you need to take a subjective decision via subjective consensus on a subjective problem, you’ll be weighing goodness. Also if your objective problem is immediate, you’ll weigh correctness. 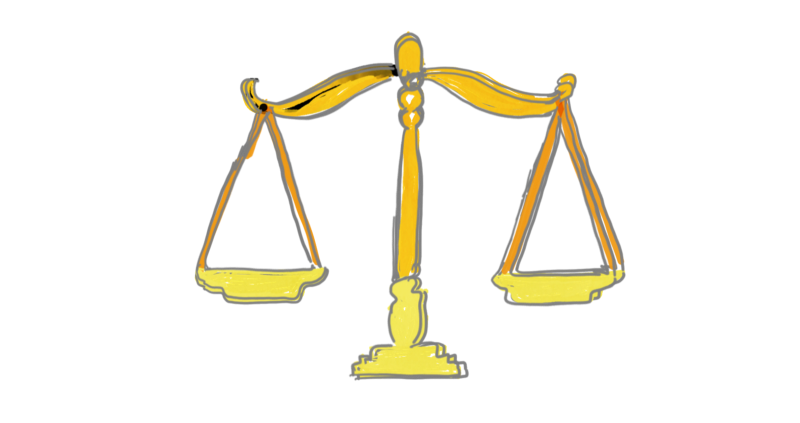 If you need to decide on long term objective problems, you’ll be weighing righteousness. One important distinction is between decision and choice. Choosing is a property strength sorting problem, deciding is an argument consequence classification problem. Choice will pick one of a sorted list’s ends. Decision will pick the winning side. So everyone is going somewhere amirite? I mean it is clearly a very well accepted dogma that there has to be a destination for all human effort. But who is driving us there? To have a clear and easy to replicate process of placing arguments on either sides of the scales, you need to identify who is at the wheel, who is steering, who is driving the process. When you say we are a “data driven company” it means that data is steering all decisions regarding the company. That is dangerous because data does not incorporate interpretation. That is why the old idea of mission still makes sense. A mission is an interpretation, it conveys meaning by default, it creates predictability, so a “mission driven company” is a lot more trustworthy that a data driven one. The driver will be driving arguments on one side or the other of any decision process. This makes for a future proof direction. The mission steers the company. That keeps a company healthy. Vision steers goals. That keeps goals aligned. Customers steer projects. That keeps projects efficient. Stories steer the products. That keeps products agile. Data steers choice. That keeps choice objective. With this system failure is not an option. It doesn’t guarantee success, it just protects against failure. Pivoting, selling, quitting at the right time are not failures, and the visibility of such options is clearest in a system like this. Failure is unrecoverable debt, uncontrollable side effects, waste, withered opportunity and spoiled resources. But that is only part one of a decision framework, picking the side of any argument with a system of drivers. This is where things get boring. Hello social responsibility and sustainability. You have the drivers that steer arguments on sides, but why would they drive this argument? This is the reason to not mix business with pleasure, so you can be objective when objectivity is required. Not mixing business with pleasure has nothing to do with enjoyment. Good business is always enjoyable. Joy is emotional, pleasure is visceral. However, the viscera is too far removed from reason, and its grasp is unforgiving. Yet, emotions allow for objectivity, contrary to popular wisdom, they actually enhance objectivity with things like respect, patience, and insight. Back to drivers, imagine you have the best pilots in the world and you can pick any cars you want for them to drive, what do you do? Do you pick anything other than the best? That is exactly the basis for the process of consideration, optimizing for the best possible arguments. Hello, again, social responsibility and sustainability. These are the polish, the handcrafted details, the tuning which make an argument best in class. Companies that don’t consider these will never even be in the presence of any best arguments. Strength is the combined level of high specificity, low speculation, high accuracy and the degrees of separation from axiomatic affirmation, that means the argument must contain its own proof. Side effects should be regarded as the measure of the safety of the drivers: e.g. does this strong argument in favor of this goal puts our vision at risk? Essentially no sane racing team will make their pilots drive bombs on wheels, and neither should you. By now you have placed each argument on the right side with the help of the proper driver, you have on your scales only the best arguments based on their strength and side effects, but how low should each side of the scale go, what is that which makes for the imaginary gravitational pull? How much does each argument weigh? The amount of profit it generates. Any kind of profit, measured in any kind of unit. The more options we have, the more peculiar the certain qualia of what we want becomes. 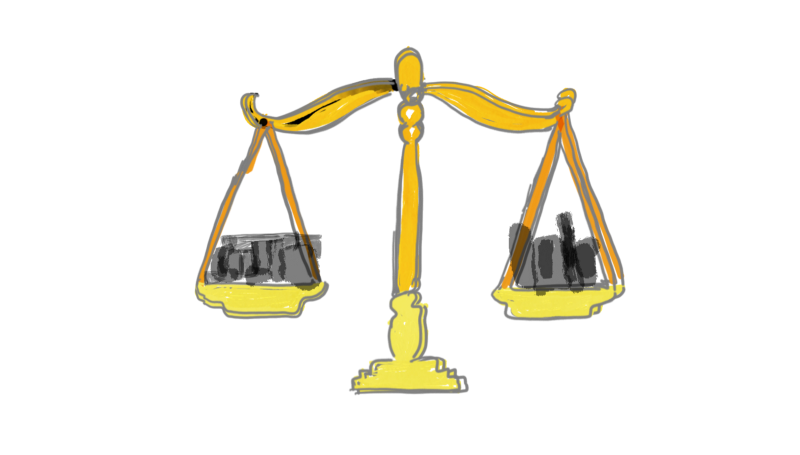 That is why, consideration of each argument in a decision process is a cornerstone, because indifferent of quality, too many things on either side of the decision will make the weighing exponentially more difficult. Only this is the decisional stage where profit counts 100%. With the arguments on the right sides. With the best arguments considered. Now, measure profits, then decide. Don’t do it upside down, because profit is visceral and you will be biased on choosing sides. Don’t cut out steps; ignore profits and you’re left with good intentions, ignore argument selection and you’ll design a camel when you want a horse, ignore driver selection and you’ll be left with no direction. Don’t mix up drivers. A plane pilot, most likely, won’t do a great job in an off-road race. For example: data driven projects are setting cash on fire; vision driven choice is useless risk; customer driven goals are never gonna work in a capitalist game. You get the gist. People confuse ideas with guesses. Ideas are rare, therefore ideas are expensive. Good ideas are priceless. Good execution seldom saves a bad idea, but good ideas often save poor executions. To generate work is no challenge. That is why the bad reasoning that ideas are a dime a dozen is so common. So yeah, maybe this helps :), indeed, endings are not my strong point. This story is published in The Startup, Medium’s largest entrepreneurship publication followed by 287,184+ people.